Minor update (2 audio files) please scroll to the bottom to hear a Wizard Modern Classic/The Schaffer Replica® GT combo recorded with this Neumann U47 FET! Oh yes. 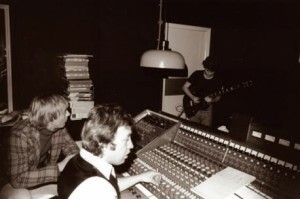 It is my theory in fact that most (if not all) of early (up to 1977, including “Let There Be Rock”) AC/DC studio album recordings were mostly recorded – guitars and Bon’s vocals – with Neumann U47 FET (NOT the tube versions!). And maybe – just maybe – even bass drum with it (the Neumann U47 FET is also famous for that). 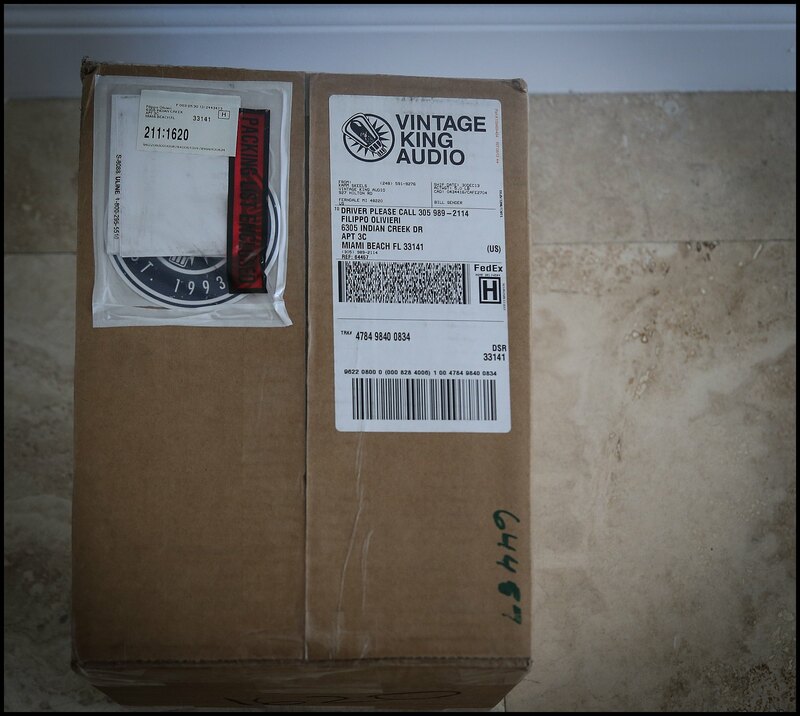 My own Neumann U47 FET out of the Vintage King Audio packaging! Near Mint. I just got my own unit. I am not sure yet of its date of manufacturing (they were made from ’69 to the early 1980s), just got this yesterday. This is an extremely expensive microphone, and a rarity too (especially in this near mint conditions). 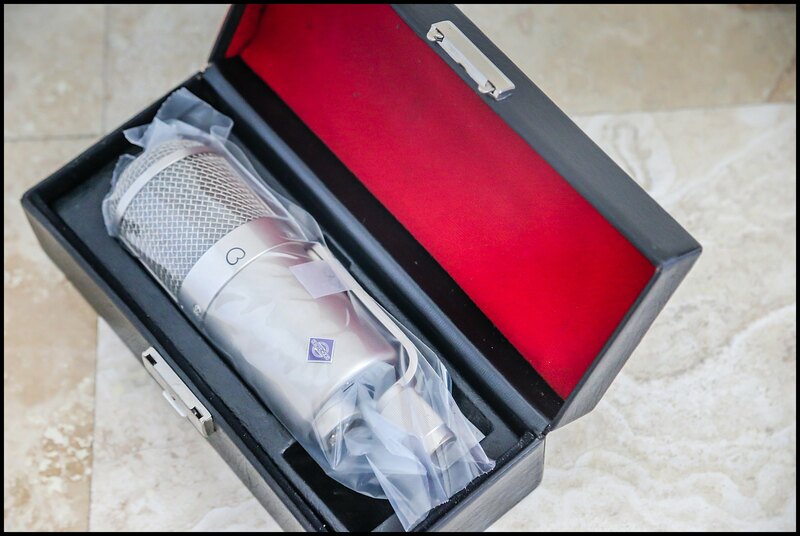 So given the times – where I already have spent quite much for the development of our beloved Schaffer Replicas™ – I traded this for my original, 1950s Neumann U47 tube version, that was specifically used on vocals, and that I had saved from my Studio58a times but was mostly useless for me. Microphones for me are for recording guitars mostly, and the Neumann U47 FET was used countless times for guitar recording in the past. 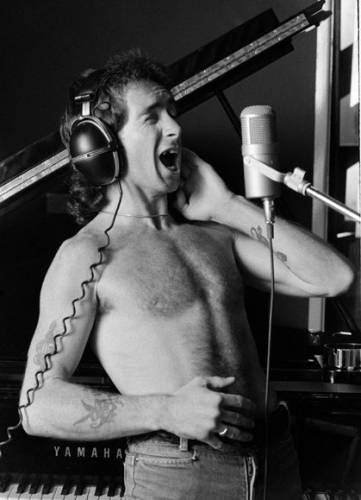 But Bon used to love it for vocals too, matter of fact, many early AC/DC recordings were made with such a microphone for Bon, too! My own Neumann U47 FET out of its box. U47 FETs on guitars. Just one microphone per cabinet, as reported here. Sounds pretty good huh. Also, very much likely in the past – just with the use of different amps/cabinets, earlier albums were recorded with Neumann U47 FETs. 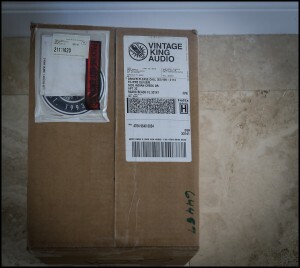 I have a feeling that probably most of AC/DC early albums were recorded with these mikes, and of course – just like in the past years, here at solodallas.com – I will try and prove my theory, putting my money where my mouth is. 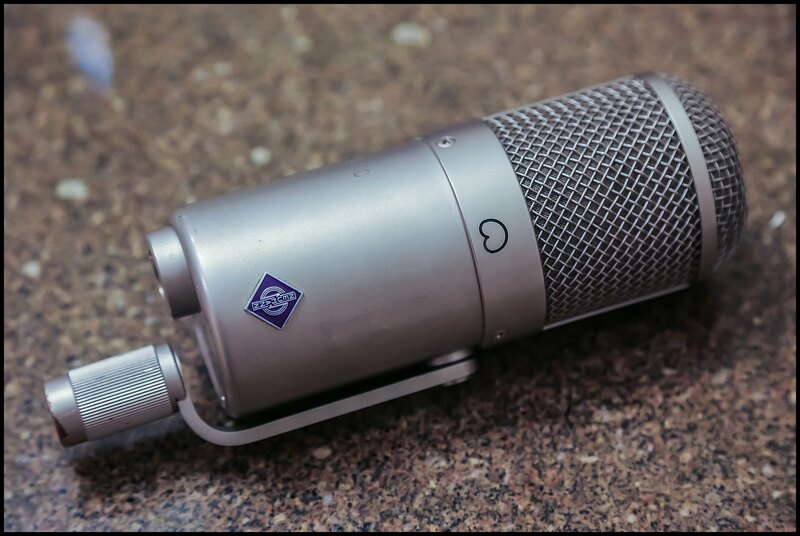 Keep in mind that – another example – the Glasgow live concerts “If You Want Blood”, were all recorded with Neumann U47 FETs (still, as reported in the link above). 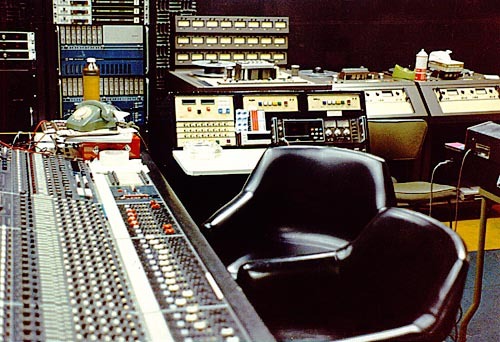 Will leave you with a couple of original pictures of the Album studios during the 1970s. If you ever had a doubt about what recording (and maybe even mixing) consoles were used back then for AC/DC recording, you can now be sure: it was Neve consoles. Is this useful info, Fil? Oh yes. You bet it is. You know all these plugins that are coming out and will keep coming out in future years, that tend to emulate that sound? Get one, even the great and not too expensive WAVE ones. Will help pretty much get that sound down. Albert Studios, Angus recording solo guitar. Check the same lamps as seen in photo to the left! And a bit of Albert Studios history of those times right here. From 1973 through to 1986, Albert Studio 1 was one of the major recording studios in Australia. Originally known as Studio 139, Studio 1 was “the” rock and roll recording studio in Sydney, with the likes of AC/DC, The Angels, Rose Tattoo, John Paul Young and many other famous Alberts artists recording there. The first job done in this studio was the mixing of The Ted Mulry Gang’s album “Here We Are” featuring the hit single “Jump in My Car”. In addition to being used for in-house Albert artists, this sought after studio was used by outside rock and roll bands such as Cold Chisel and for country music albums and jingles. Initially Bruce Brown, studio manager and producer, also worked in this studio. As time went by and Alberts built more studios, this studio became used almost exclusively for in-house work only. It was the home of Vanda and Young, who in addition to producing most of the in-house artists that recorded there, recorded their own legendary Flash and the Pan albums in this studio. A suitably massive collection of microphones which were shared between studios. These included Sennheiser, AKG, Electrovoice and Beyer mics of all shapes and sizes, Neumann U47, U87, U89 and KM84 mics. I just started using this microphone yesterday recording a couple of random things, I already love it massively. No processing, just reverb added to it. Microphone 2 cm away from a G12M speaker, played with my Wizard Modern Classic in the CLEAN channel maxed out (volume 10) and the TSR also maxed out. This is the result. The first file has a reissue 2006 Gibson SG Standard “1964 reissue” , repainted black tuned lower. Then comes a 1967 Gibson SG Standard repainted in dark cherry, unknown pickup (could be a t-top or pat number sticker). File 2 starts with the same 1967 SG Standard as above, then proceeds with 1974 Gibson SG Standard, all original, stock. I was hoping you could tell me what recording techniques you use to play over Angus’ channel when you do the ACDC covers, and what equipment you use to do it. I ask because I would like to do the same thing, but I am not sure what equipment I would need to pull it off. How do I make an mp3 recording of, say, me on guitars and bass and, say, Phil Rudd and Bon Scott on drums and vocals respectively? Hi Rocker, sorry for the late reply (seen this only now). I will cover thoroughly what I do and how I do it, because it took me time and because I am finally having it down nicely – I really am starting to like the sound of my takes after years of attempts. Please stay tuned, it will all be laid out here. Thanks for your response. I look forward to finding out more about how you do what you do! Great stuff you’re sharing again here mate ! A few more items on my list for when I’m older an got so much more money 😆 ! Great post. I didn’t know Vanda & Young used this mic so much with the boys, it’s actually pretty awesome and shows how simple they did things. Also, I didn’t know the had a Neve console… that explains a lot! haha, have you seen Sound City? A documentary Dave Grohl made about the Neve console they had in that studio, it’s great. Yes, I knew of Sound City. I have been knowing about Neve consoles (pre amps, compressors etc.) for quite a while. It just confirms how much AC/DC like Neves. Keep in mind that even to this day, they ARE recording (tracking) on Neves. Bryan Adam’s studio has one for tracking, and they used it multiple times. The sound of Rock. Black Ice sounds so digitalized (right word?) that maybe they used the Neve board just as a go-through between the signals and Pro Tools, who knows…. They definitly got the most out of them in the early days. The sound of Rock indeed. no it’s been published how Black Ice was made. It was ALL recorded on tape, tracked on Neve direct – SM57s and… MD421s! Just like Highway To Hell. Then it was mixed on an SSL. It was edited on ProTools, but just after it had been tracked. Wow, that is a total shock for me. I’ve always considered Black Ice their digital album instead of analog like the rest. And holy crap 57s and 421s? Really? Holy hell, how do they do it, how do they do it!!!! Funny thing is, that Back in Black was recorded on MCI console and Tony Platt mentioned it was regarded as being below-average. That just proves, that gear is not that crucial. It was NOT Tony Platt’s comment. Nice, nice, nice & nice. Loved your additions. I am not that sure about MCI being used for recording of FTATR. All sources mention it was recorded with Mobile One which should be The Rolling Stones Mobile Studio. And that mobile studio had Helios console built into a truck. P.S. : FTATR album is never mentioned in ‘Recorded on The Rolling Stones Mobile’, unlike Deep Purple’s Machine Head etc. 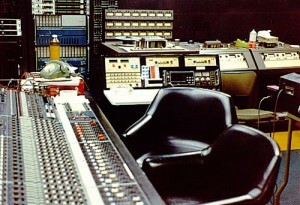 Look at that pic at the bottom – it should be the same MCI JH-500 Series Console as used for recording of Back in Black.